Produced in England, Dempsey and Makepeace chronicled the exploits of two members of SI-10, a special undercover group working out of London's Scotland Yard. Jim Dempsey was a New York City cop who had discovered corruption in the New York City police force and had been sent to England for his own protection. He was brash, impetuous, occasionally obnoxious, and much quicker to use his gun than the British. His reluctant partner was Lady Harriet Makepeace, a member of royalty who, for reasons never clearly explained on the show, had decided to make a career out of police work. Her connections with those in high places often proved handy when they were looking for information or assistance on various cases. Although a grudging mutual respect developed between them, and there was a certain sexual tension, a social relationship never materialized. Spikings was the blustery head of SI-10 and Chas was one of the other members of the team. Jim Dempsey was one of New Yorks finest. A cop who was tough, who was street wise, a man who couldn't be bought. But when a corruption scandal hit the force Dempsey found himself out on a limb. That's how he found himself in England. Waiting for things to cool down. And fighting big time with the beautiful Harriet Makepeace, Cambridge graduate daughter of an English lord and chasing a high-flying career at Scotland Yard. Dempsey and Makepeace - an unlikely duo but dynamite when it comes to explosive action and a love hate relationship of epic proportions. Holding them together is their boss Gordon Spikings. And Spikings, irascible head of S.I. 10, is not a man to trifle with. James Dempsey was a tough New York cop who got himself into a lot of trouble by killing his partner during a corruption investigation. With things too hot for him in New York, Dempsey was seconded to London's elite SI10, where he was assigned to work with Detective Sergeant Harriet Makepeace, under the supervision of Chief Superintendent Spikings. Dempsey found British police methods slow and infuriating, and his new colleagues considered him a violent maverick, entirely too attached to his .357 Magnum. 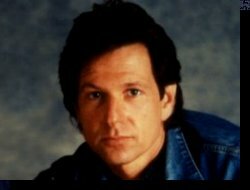 The immediate antagonism between Dempsey and Makepeace was countered by a strong physical attraction, and while they fought continuously, they made a good, effective team. Jim Dempsey, a New York City Police Lieutenant who discovered corruption within his own department, was sent to England for his own protection. Teamed up with Lady Harriet Makepeace, Dempsey was her exact opposite, being much more driven and quicker to use violence. Spikings was their superior at SI-10, the unit where the duo was stationed. Together, they made an excellent team, each possessing special abilities to catch the criminals and in the process, learning a little more about each other's customs and investigative styles. I need your help to maintain this section of my webpage, so If you have info on Dempsey & Makepeace broadcasts in other countries, please contact me. Metropole 6 (M6) is currently showing D&M in FRANCE on Saturdays at 16:30. It first aired in 1986 on FR3 and then in 1989 on "la cinq". The French title is "Mission Casse-cou". In IRELAND Dempsey & Makepeace currently shown on TV3 on Thursdays at 12:00 midnight. 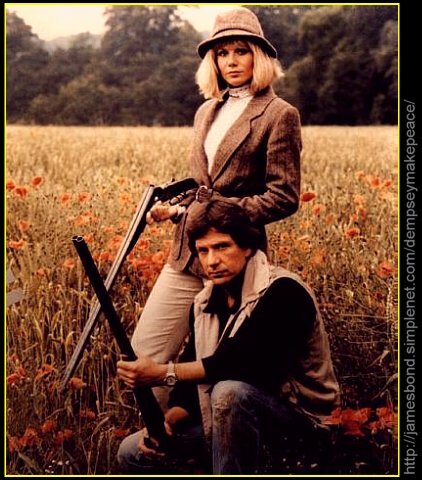 BELGIUM: Belgian National Television (VRT) is broadcasting Demspey & Makepeace on Saturdays at 4:00 pm. In the UK Granada Plus is once again airing Dempsey & Makepeace. In SPAIN Dempsey & Makepeace aired on the digital tv channel Album TV. The Spanish title of the series is "Como el perro y el gato". In the late 80s Dempsey & Makepeace was also shown in JAPAN. If you have written any D&M fan fiction or if you intend to do so, I would like to provide the necessary web space to present your stories to a larger audience. Of course you will receive proper credit for your story, unless you don't want your name mentioned. You can contact me at dpaeschke@bigfoot.de. 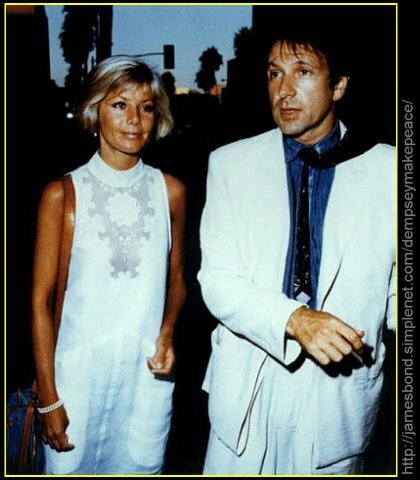 If you know a website or a fan zine with Dempsey & Makepeace fan fiction please contact me too. If you have your own fan zine, I would promote it here. Click on a thumbnail to see the larger picture. My Glynis Barber Page (more photos, etc.). You can also find more links to Glynis Barber and Blake's 7 here. Luisa's page of Dempsey & Makepeace. Michael Brandon and Glynis Barber, lots of wavefiles, pictures, etc. He has a few screenshots of the cast, a basic story outline and an episode guide. The page is part of his Ultimate Cult TV Page. has also an entry for Dempsey and Makepeace. Take a look at Trevor Sellman's Homepage. Check for his picture of Glynis Barber and his Dempsey and Makepeace pic. He also has a Dana Delany Tribute Page and photos of Jennifer Connelly, Cheers, etc. Dempsey and Makepeace page on TV Heaven. Dempsey and Makepeace (an Episode Guide) by Alan Morton. His guide is part of epguides.com. It also has a nice cast photo. My Dempsey and Makepeace Episode Guide is actually based on his guide. A list of D&M actors and of their roles in British tv series. Do you have any comments, corrections and additions?